Injecting Reddit into a communications plan may seem like a death wish. Why would any company jump onto a platform notorious for embodying the worst of social media? And yet, it may well be time to wake up and take notice. With approximately the same number of monthly active users as Twitter (roughly 330 million), Reddit is growing faster—and there’s simply no contest between the two platforms in terms of engagement, which makes it an enticing launchpad for viral memes. According to Alexa, users spend more minutes per day on Reddit than any of the other top fifty sites. But its fusion of high user numbers and engagement is exactly what makes Reddit so tricky; unlike Twitter, it overwhelmingly values honest, sometimes brutal, discussion over promotion. 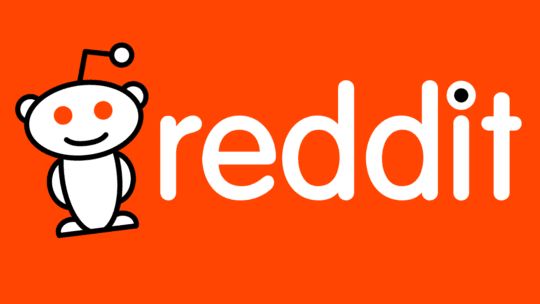 Posting a press release to Twitter is de rigeur, but doing so on Reddit may land you in places like the subreddit (RedditSpeak for a forum) r/HailCorporate, which has more than 150,000 members mostly devoted to outing corporate hype. When posting to Reddit, remember you’re actually not posting to Reddit. Every piece of content is actually posted into one of more than a million subreddits, from r/aww (think cat videos) to narrow interests, like r/pedicures, with their own moderators and rules. “Each has its own language and culture and cadence,” explains Owen Tingle, group creative director at Durham, NC-based ad agency McKinney. Even if you’re not thinking of engaging on Reddit, engage on Reddit. Well before you have an agenda, identify subreddits that make sense for your company or client and subscribe to them. This not only gets you in the door, but also helps you build karma points—Reddit currency that builds credibility. “You’ve got to subscribe, and you’ve got to participate,” explained Steve Sapka, president of PR agency Sapka Communications. Always be transparent about your intentions. Even if you’ve become an important contributor to a subreddit, be careful about over-doing it. “Redditors are great at sniffing out a poser, and they resent outsiders trying to use their communities for exposure—rightly so,” said David Sloan, creative director at McKinney. Partner with a client who might enjoy the ride. Since Reddit is more freewheeling than many other social platforms, experiment with those willing to ride the ups and downs. Not sure you want in? Create content Redditors might pick up. There’s a whole subreddit devoted to funny tweets from Wendy’s (r/wendystwitter). Great content always get noticed. The bottom line: best practices for using social media are even more important to honor on Reddit.